Falcon Minerals Corporation ("Falcon" or the "Company") (NASDAQ: FLMN, FLMNW) today announced earnings results for the quarter ended September 30, 2018. "We are very pleased to report our first period of operations at Falcon Minerals," stated Daniel C. Herz, Chief Executive Officer and President of Falcon. "Our business is generating substantial cash flow with no capex requirements at a 90% margin, namely from our royalty interests in the highly-productive, oil-rich Eagle Ford Shale. Falcon's assets are well-supported by world class operators who are substantially increasing their activity on our Eagle Ford mineral acreage. During the quarter, we realized robust oil prices of $74/bbl, and ample takeaway capacity has maintained the premium in the Eagle Ford from LLS-based oil prices we receive. We believe Falcon is strategically positioned to acquire additional royalty assets in the Eagle Ford, where the fragmented market presents a tremendous opportunity to build upon our existing high-quality asset base. Given all of the activity across our position in the Eagle Ford Shale, we are even more excited than just ten weeks ago at the launch of our business." The Company began trading publicly as Falcon Minerals upon closing the combination of Osprey Energy Acquisition Corp., Falcon's predecessor entity, and Royal Resources L.P., an entity owned by funds managed by Blackstone Energy Partners, on August 23, 2018. The financial and operating information provided in this release reflects the full results of the three months ended September 30, 2018 for comparative purposes. The Company reported Adjusted EBITDA (as defined and reconciled below) of $21.3 million(1) for the third quarter 2018, resulting in Adjusted EBITDA margin of approximately 90% for the current period. Cash operating costs for the third quarter 2018 were $5.96 per barrel of oil equivalent ("boe"). Falcon's adjusted net production averaged approximately 6,100 boe/d for the third quarter 2018, which includes a contribution of approximately 600 boe/d to the full quarter from additional wells turned in line for which revenue has not yet been accrued. Falcon's net realized price for crude oil was $74.43 per barrel ("bbl") in the third quarter 2018. The Company receives revenue based primarily on Louisiana Light Sweet crude ("LLS") pricing on production ($71.02/bbl as of November 6th) generated from the Eagle Ford Shale in south Texas. LLS trades at a premium to West Texas Intermediate crude ("WTI") and averaged approximately $5/bbl over WTI during the third quarter 2018. The Company's realized price for natural gas during the quarter was $3.03 per thousand cubic feet ("mcf") and $28.73/bbl for natural gas liquids ("NGL"). On October 23, 2018, the Board of Directors of the Company approved Falcon's initial dividend of $0.095 per Class A share for the partial quarter ended September 30, 2018. 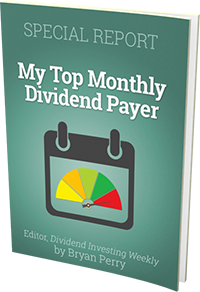 This amount represents an annualized dividend of $0.90 per Class A share. The dividend for the partial third quarter 2018 will be payable on November 15, 2018 to all Class A shareholders of record on November 8, 2018. The Company's dividend is based on the portion of the current quarter of which Falcon owned the acquired assets (August 23rd through September 30th). As of September 30, 2018, the Company had $38 million of borrowings on its $115 million revolving credit facility, and $12.9 million of cash. Falcon's debt-to-annualized EBITDA ratio was approximately 0.4x for the full third quarter 2018. Falcon management invites investors and interested parties to listen to the conference call to discuss third quarter 2018 results on at 9AM on Friday, November 9th. Participants for the conference call should dial (877) 876-9177 (International: (785) 424-1672) and use the confirmation code FLMNQ318. The Falcon earnings call is also accessible via webcast on the Company's website at www.falconminerals.com in the Investor Relations section. A replay of the call will be available starting at 12:00 pm ET on November 9th. To access the replay, investors and interested parties can call 800-839-9324 (International: (404) 220-6086). Falcon Minerals Corporation (NASDAQ:FLMN, FLMNW)) is a C-Corporation formed to own and acquire high growth oil-weighted minerals rights. Falcon Minerals owns mineral, royalty, and over-riding royalty interests covering 251,000 gross unit acres in the Eagle Ford Shale and Austin Chalk in Karnes, DeWitt and Gonzales Counties in Texas. The Company also owns additional assets of approximately 20,000 gross unit acres in Pennsylvania, Ohio and West Virginia prospective for the Marcellus Shale. For more information, visit our website at www.falconminerals.com. This document contains forward-looking statements that involve a number of assumptions, risks and uncertainties that could cause actual results to differ materially from those contained in the forward-looking statements. Falcon cautions readers that any forward-looking information is not a guarantee of future performance. Such forward-looking statements include, but are not limited to, statements about future financial and operating results, resource and production potential, Falcon's plans, objectives, expectations and intentions and other statements that are not historical facts. Risks, assumptions and uncertainties that could cause actual results to materially differ from the forward-looking statements include, but are not limited to, those associated with general economic and business conditions; Falcon's ability to realize the anticipated benefits of its acquisitions; changes in commodity prices; uncertainties about estimates of reserves and resource potential; inability to obtain capital needed for operations; changes in government environmental policies and other environmental risks; the availability of drilling equipment and the timing of production in Falcon's regions; tax consequences of business transactions; and other risks, assumptions and uncertainties detailed from time to time in Falcon's reports filed with the U.S. Securities and Exchange Commission, including under the heading "Risk Factors" in Falcon's definitive proxy statement filed with the SEC on August 3, 2018, as well as Falcon's most recent annual report on Form 10-K and any subsequently filed quarterly reports on Form 10-Q and current reports on Form 8-K. Forward-looking statements speak only as of the date hereof, and Falcon assumes no obligation to update such statements, except as may be required by applicable law. We define Adjusted EBITDA as net income plus interest expense, net, depletion expense and provision for (benefit from) income taxes less income from discontinued operations. Adjusted EBITDA is not a measure of net income as determined by GAAP. We exclude the items listed above from net income in calculating Adjusted EBITDA because these amounts can vary substantially from company to company within our industry depending upon accounting methods and book values of assets, capital structures and the method by which the assets were acquired. Certain items excluded from Adjusted EBITDA are significant components in understanding and assessing a company's financial performance, such as a company's cost of capital and tax structure, as well as historic costs of depreciable assets, none of which are components of Adjusted EBITDA.